‘It all ends in London’ is the caption for this year’s ATP World Tour Finals as the last tennis tournament of the season takes place at the 02 Arena. It’s been a very long season for the players but you’ve got to end it with a bang! 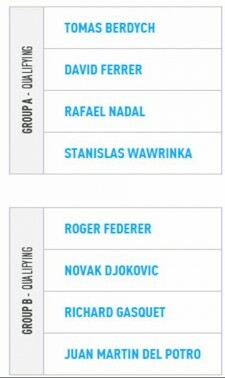 The current top 8 men in the ATP rankings will all come together on the 4th of November in the capital of England to compete for the world tour finals trophy. A lot of big names are tkaing part in this year’s tournament making it an unmissable event to watch for the fans and the media. The players that will be making their mark at the 02 are Rafael Nadal (1), Novak Djokovic (2), David Ferrer (3), Juan Martin Del Potro (5), Tomas Berdych (6), the great Roger Federer (7), out of the nowhere Stanislas Wawrinka (8) and Richard Gasquet (9). Probably wondering where Andy Murray is on the list? Well, unfortunately for the British fans Murray will not be making an appearance this year as the Wimbledon champion is recovering from back surgery. 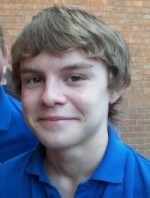 All 8 players will be arranged into two Round Robin groups of 4. After each competitor does their bit by playing against their 3 opponents the top two of each group qualify to the semi-finals. Rafael Nadal has probably had the best season of his career so far. He had to miss this year’s Australian Open due to a 7 month awaited injury and was just going down and down the rankings like there was no tomorrow. The Spaniard made a comeback to the sport in February with the clay court season approaching. There’s a reason why he’s called ‘the master of clay’. Nadal won all clay court titles including the clay Grand Slam which is the French Open. When the season moved on to the hard courts Nadal was dominant once again by clinching Montreal and Cincinnati titles then adding a second Grand Slam of the season, the US Open. Nadal has never won the Finals, could he clinch the title for the very first time? It’s been a tougher season than the previous one for Novak Djokovic. He started the season well with a fourth Australian Open Grand Slam against Andy Murray giving him the total of 6 Grand Slams. But has become runner up to the British number 1 at Wimbledon and Nadal at the US Open. This has lost the Serbian’s world number 1 spot in the process to Nadal. But, Djokovic has recently secured a few titles to put the pressure on Nadal for world number 1 at the end of the season. 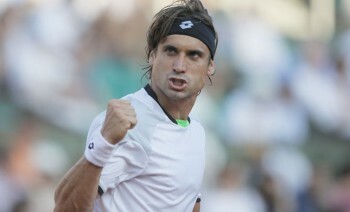 David Ferrer is most likely going to secure his place as a world number 3 by the end of the week. 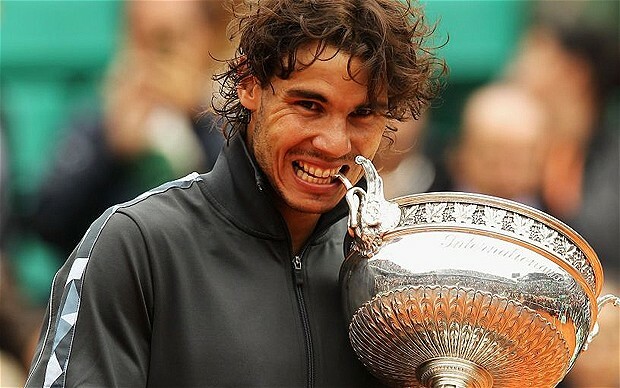 The Spaniard will look back at the season and will be delighted that he had finally got himself into a Grand Slam final (the French Open) but lost to the ‘master of clay’. Juan Martin Del Potro does like to make a few surprises from time to time. Especially at this year’s Wimbledon reaching the semi-finals losing to Djokovic in a five set thriller. But in the quarter finals the Argentinian was suffering from a knee injury on the opening set against Ferrer looking hopeless but made an outstanding recovery to beat the Spaniard in straight sets. Del Potro could be seen as the dark horse for this year’s Finals. 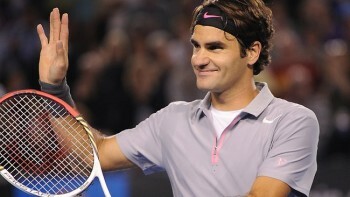 Not one of the most noted seasons for the great Roger Federer and I’m sure the 17 time Grand Slam winner would agree. Federer’s best performance this year that stands out was his campaign in January’s Australian Open reaching the semi-finals by ending up losing to Murray. Federer’s best finish in this season’s Grand Slams. Federer will be keeping an eye on his fellow Swiss which is Wawrinka as the 28 year-old is possible of overtaking Federer in the ATP rankings. No doubt that the 32 year-old has lost his dominance in the sport but the experience the Swiss has had at the Finals, gives him a good chance of making a U-turn and end the year in glory. Tomas Berdych (6), Stanislas Wawrinka (8) and Richard Gasquet (9) are also competing for the end of season prize. Berdych will be aiming for at least a semi-final spot for this year after being consistently in the top 8 all year round. Wawrinka has been a tough cookie for the likes of Djokovic and Murray throughout the year. Back at this year’s Australian Open quarter-finals, Wawrinka took on Djokovic to a five set match and was very close from denying the Serb a semi-final spot but Djokovic came out on top at the end. The Swiss ended Murray’s chances of retaining this year’s US Open by thrashing the Brit in straight sets. Wawrinka will be a tough opponent. Gasquet is lucky to be appearing in this year’s world tour finals due to the fact that the Frenchman is not in the top 8 of the ATP rankings but with the dismissal of Murray, someone has to take up his place.